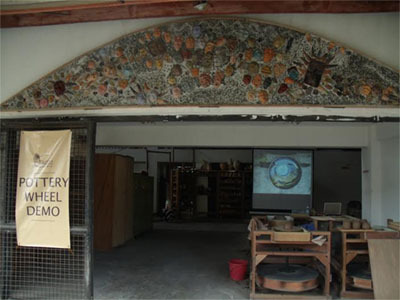 In school year 2008-2009, the UPCFA received funding from the Office of the Chancellor and Vice-Chancellor of Academic Affairs, to set up the Ceramic Studio. The proponent and Faculty Coordinator of this project is Prof. Ma. Rita Badilla-Gudiño. She is in charge of the studio’s operations and program development. VISION: To lead the way in developing ceramics as an integrated medium of art and design in the Philippines, establishing it as the prime studio of the nation for research and development, equipped with experienced faculty, complete facility and progressive programs. MISSION: To produce graduates who are equipped with knowledge, skills and techniques in the ceramic process, to create and develop ceramic works that affect the well-being of individuals and of humanity, foster cultural development in ceramic art and design; and promote ceramic trade and industry in the Philippines. 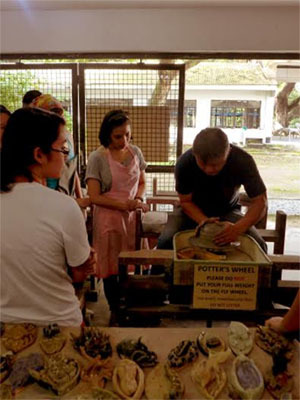 To produce graduates that will make a mark for the Philippines in the global field of Ceramic Arts and Design. 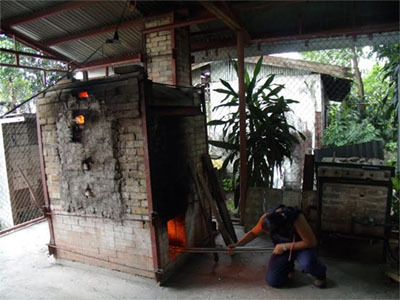 Since its inception, the Ceramic Studio’s facilities and equipment has grown to service not only students of the college, but the university as well. It extends its services to the community with Pottery and Clay Sculpture Workshops held throughout the school year.